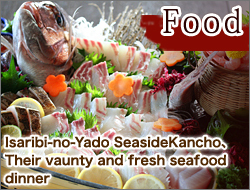 Japan Wakayama Japanese inn Isaribi-no-Yado Seaside Kancho An inn that takes pride in its delicious dishes made of fresh seafood. Wakayama Prefecture where Seaside kancho is located. 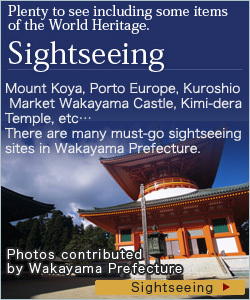 Sacred Sites and Pilgrimage Routes in the Kii Mountain Range in Wakayama Prefecture including some of Kumano Kodo were included in The World Heritage list on 7th July, 2004. Kumano Kodo are the routes that connect Ise (Mie Prefecture) and Osaka/ Kyoto with Kumano that locates in the south part of Kii Peninsular. Well-preserved parts among those are designated as national monuments Kumano Pilgrimage Routes. 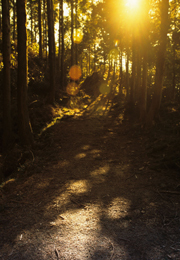 Sacred Sites and Pilgrimage Routes in the Kii Mountain Range consist of three sacred sites, where spirits of humans are said to gather, and three routes that connect them, spreading across twenty-three cities and towns in Mie, Nara and Wakayama Prefectures. Mount Koya (Koya-san), the holy place of Shingon Esoteric Buddhism with the 1200-year history. Why not walking along the stone path in the grove of cedar trees to feel the mysteriousness of Mount Koya. Photos contributed by Wakayama Prefecture. About 1 hour and 10minutes from Kansai International Airport to Isaribi-no-Yado Seaside Kancho. From other popular sightseeing places, about 2 hours from Osaka and about 2 hours and a half from Kyoto. It is about 2 hours to Mount Koya, the central part of Sacred Sites and Pilgrimage Routes in the Kii Mountain Range. 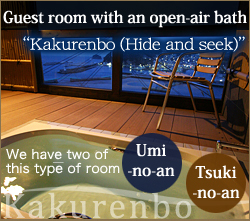 Stay at Seaside Kancho before and after your pilgrimage. Copyright(C) KANCHO Co. Ltd. All rights Reserved.